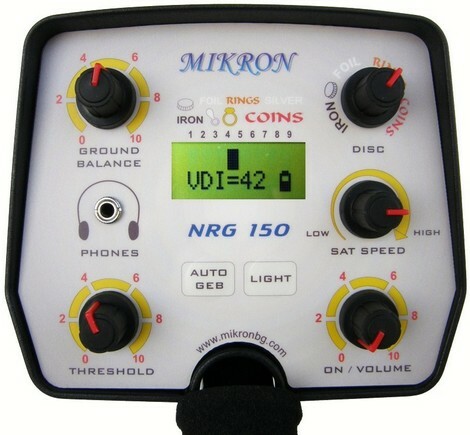 Mikron metal detectors introduced a new model metal detector NRG 150. This is an analogue detector with a digital VDI identification of the type of metal object. Р•xpected sales in December. The company promises low price. - Manual or automatic filter for eliminating earth influence. - VCO regime for the exact localization of the found object. - Visual indicator for battery status. - Supplying of NRG-150 is made with accumulator block of 12V. The apparatus is offered with automatic charger for it. Charging is easy without taking apart the block off the apparatus. It is also possible to be plugged in outer re-charge set. 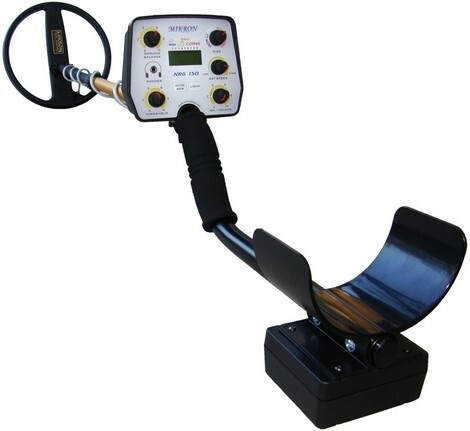 - The metal detector an be purchased with one ore more search coils. 27cm. in the set. When buying NRG-150 together with two ore more search coils you will get headphones FOR FREE. 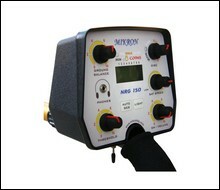 NRG - 150 can work with 2 types of searching coils with different dimensions - 27cm. and 36cm. Smaller ones 27cm are purposed mainly for little coins and objects, but 36cm used for finding bigger objects in deeper depth and the bigger one.